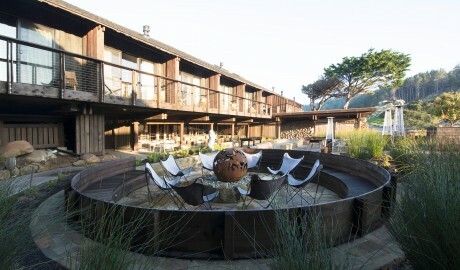 —Set on California’s ruggedly cinematic coastline, Timber Cove Resort is a 1960s icon, reimagined, reanimated, and authentically reborn. 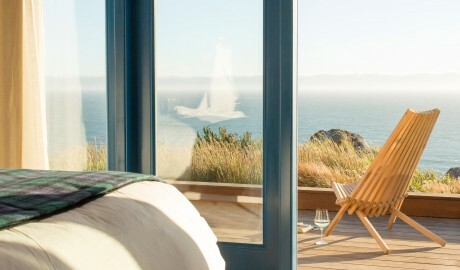 There are some places on earth that seem kissed by the heavens, where dappled sunlight sets the scenery aglow, the waters lap the beach just so, and the craggy coastline is the perfect foil to the flowing Pacific Ocean. 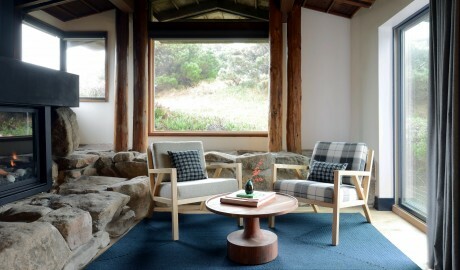 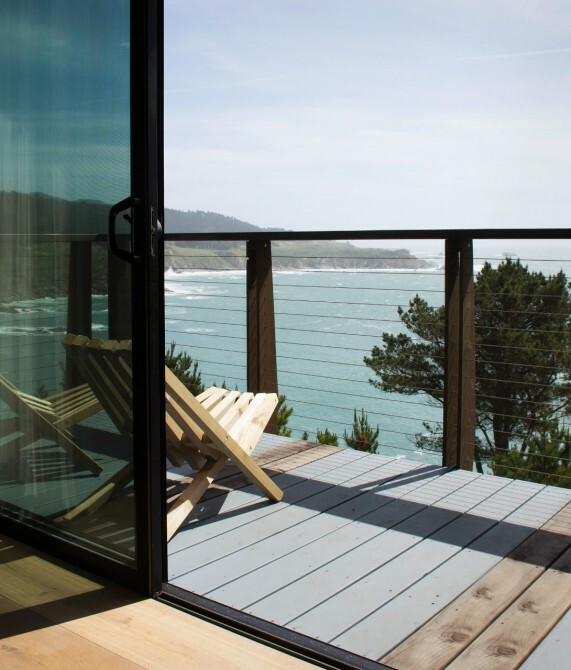 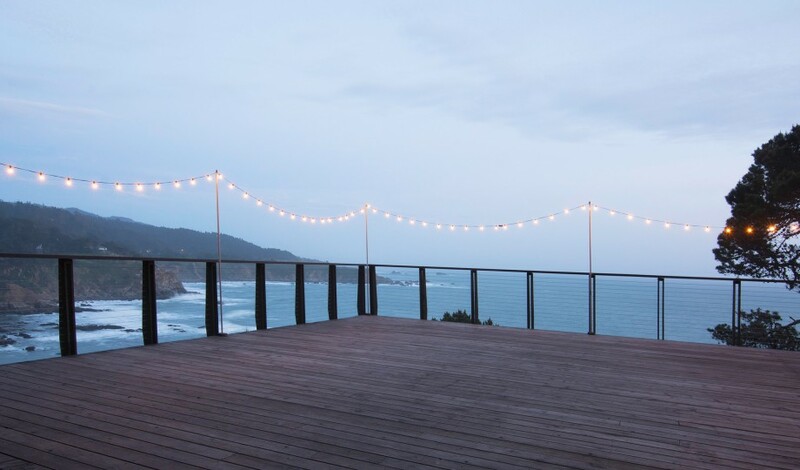 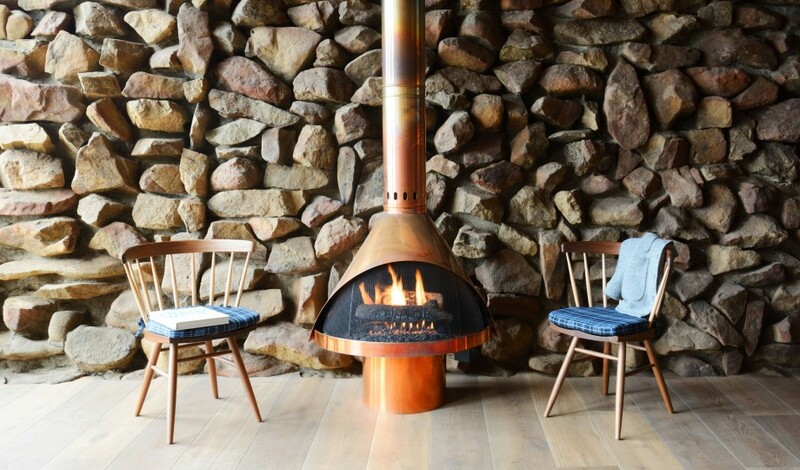 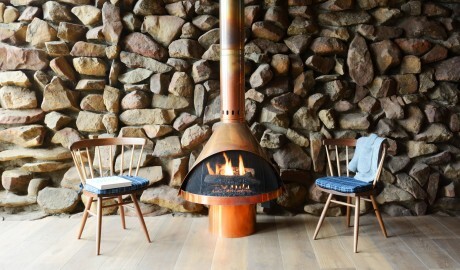 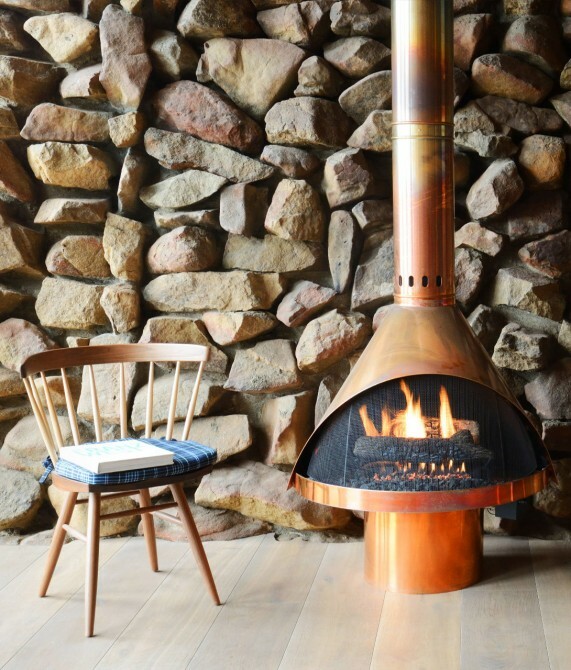 Perched on a dramatic bluff, framing this ruggedly cinematic Californian coastline, Timber Cove Resort is just that and more—a contemporary lodge that pays homage to its 1960s architecture and soul. 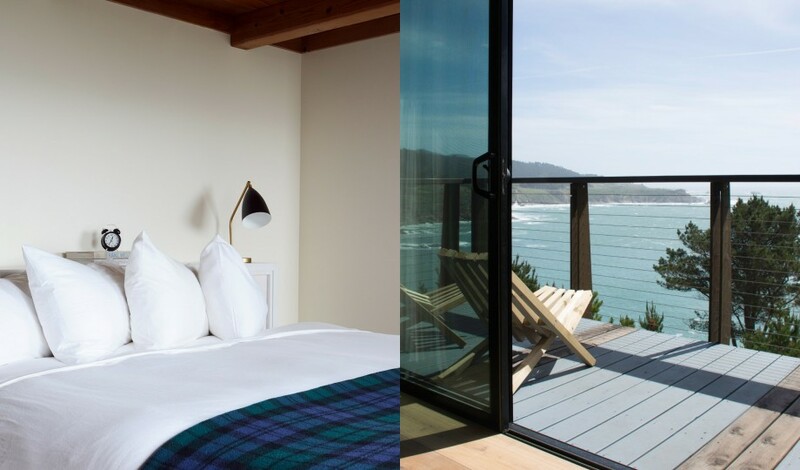 Sleep to the sound of crashing waves, wake to views of the forest and ocean, feast on the bitingly fresh seasonal organic fare at the Coast Kitchen, and hang out at the Outdoor Living Room for billiards, ping pong, fireside drinks, and snacks. 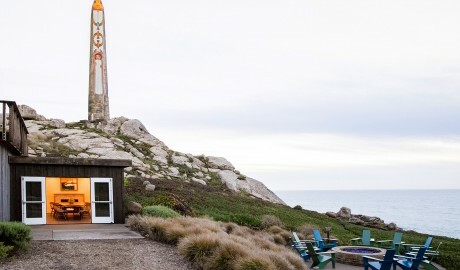 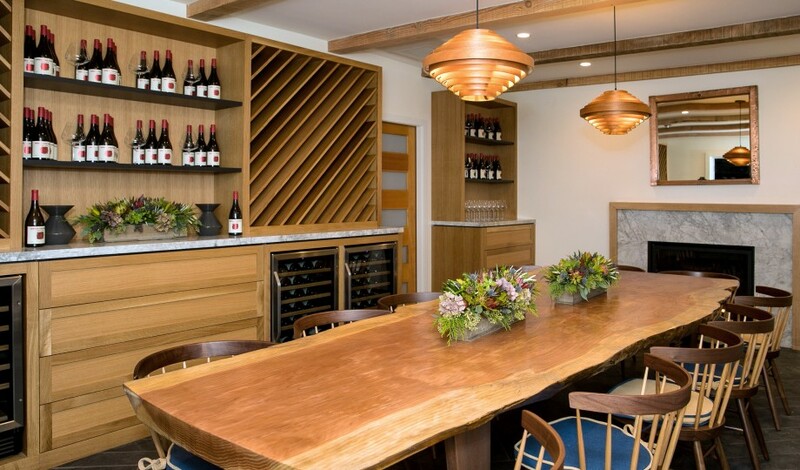 A two-and-a-half-hour drive from San Francisco Bay, the Timber Cove area has attracted artists and intellectuals, such as the renowned photographer Ansel Adams and the famed sculptor Beniamino Bufano, who created the hotel’s landmark obelisk, the Peace Statue. 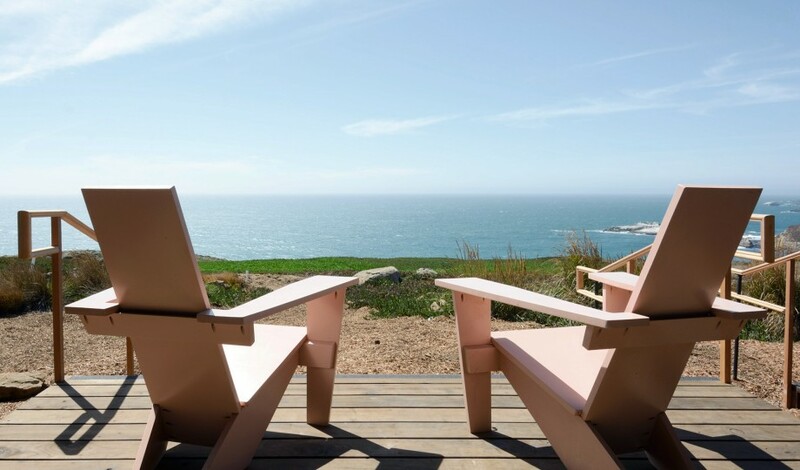 With more than 50 miles of dramatic Pacific coastline, 400 award-winning wineries, and charming areas such as Jenner and Bodega Bay at its doorstep, as well as plenty of adventures for outdoor enthusiasts, this rugged and stunning region is a destination unlike any other. 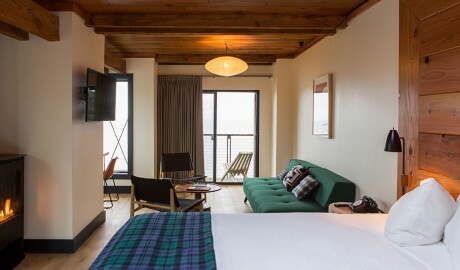 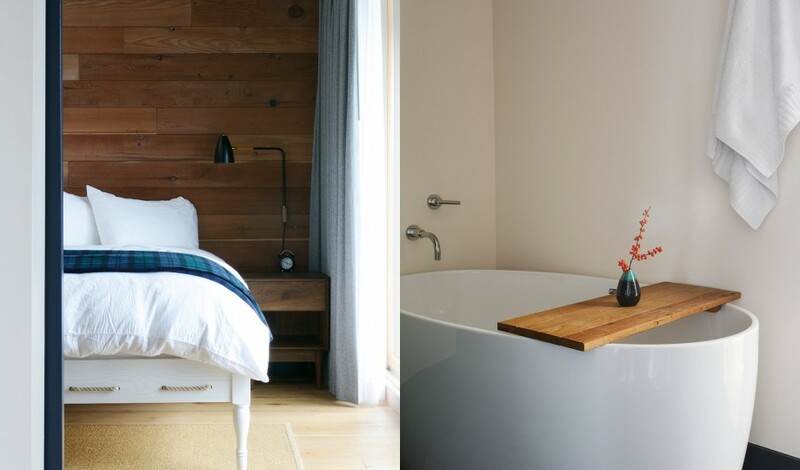 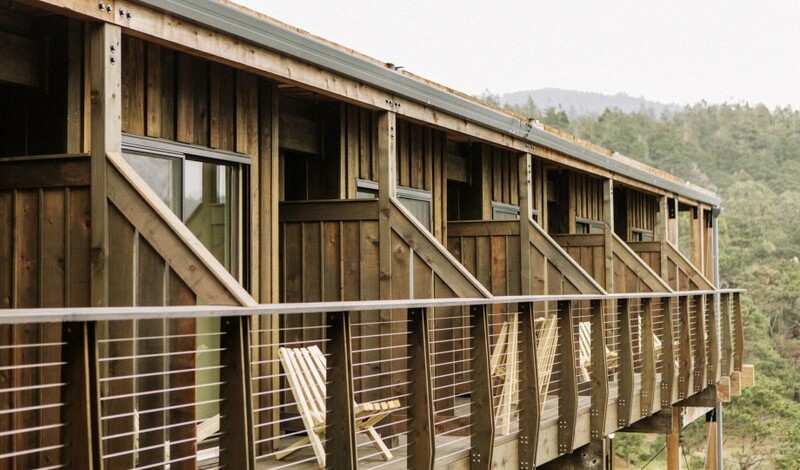 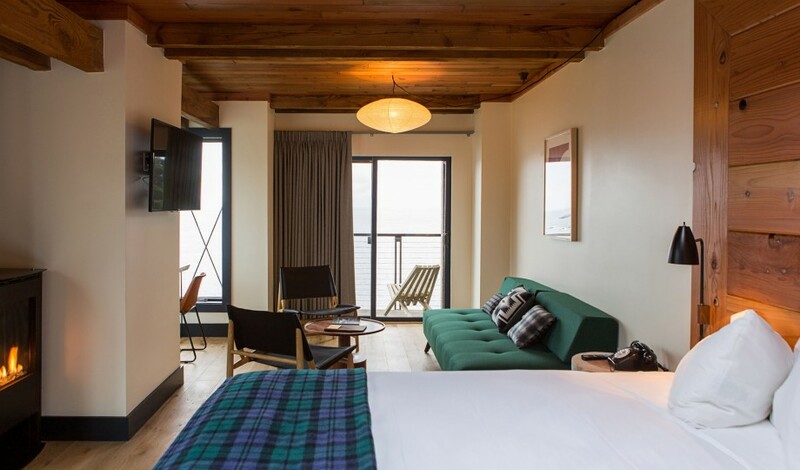 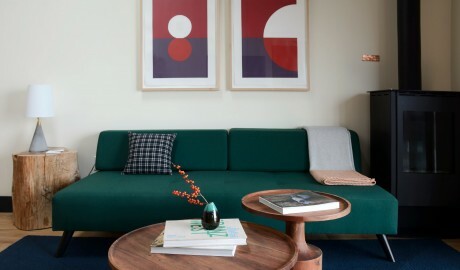 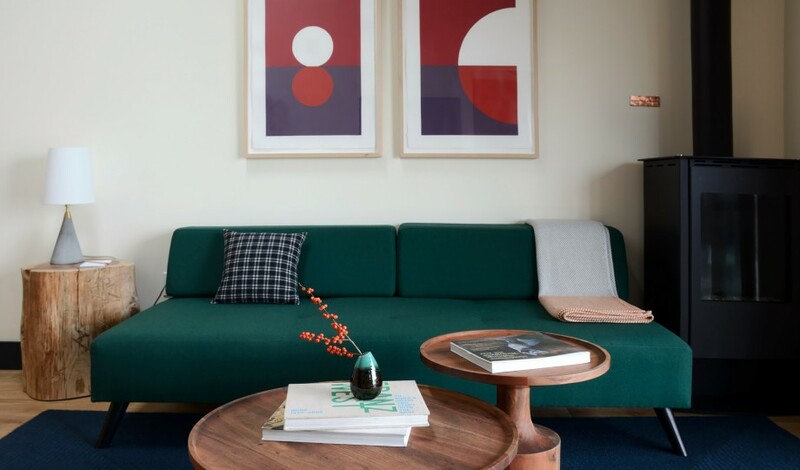 The rooms and suites range from 233 to 529 square feet, and all feature a redwood deck or balcony, a record player, and a fireplace apart from some of the Forest View rooms. 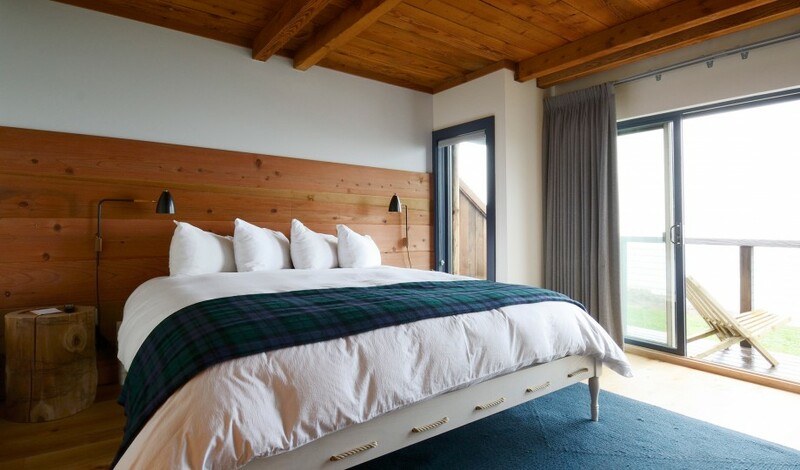 While the 310-square-foot Bunk Room sleeps up to four guests in the two handcrafted bunk beds and the Forest View room features a queen-size bed, all other rooms boast king-size beds. The Forest View and the Ocean Cove room are also available with two separate beds. 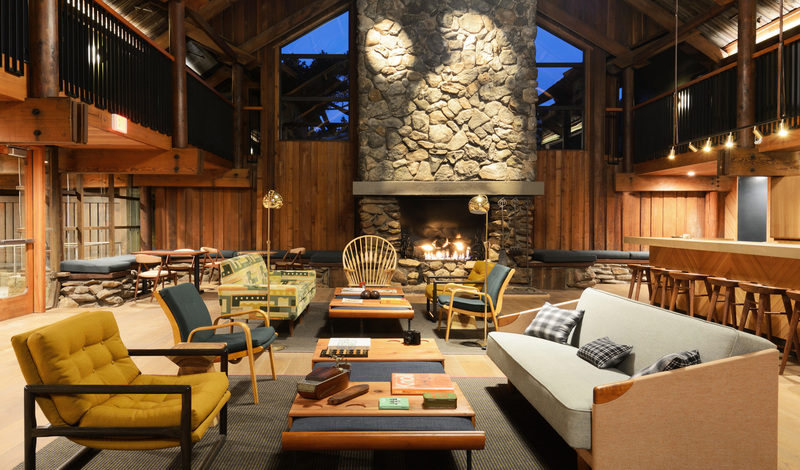 Sleek interiors with an earthy palette fittingly set the stage for the real spotlight at the resort: the stunning nature outside. 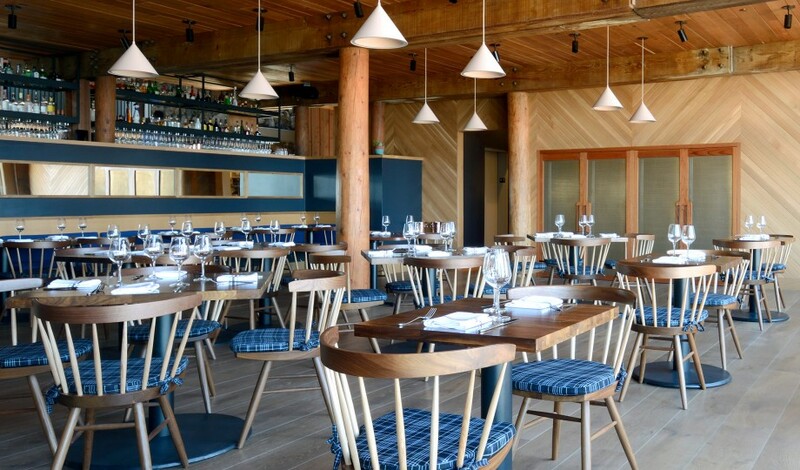 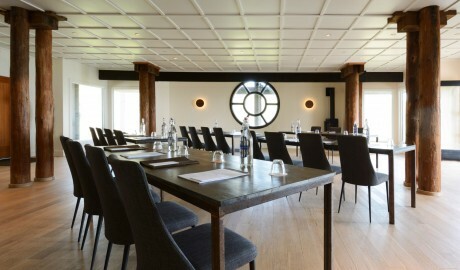 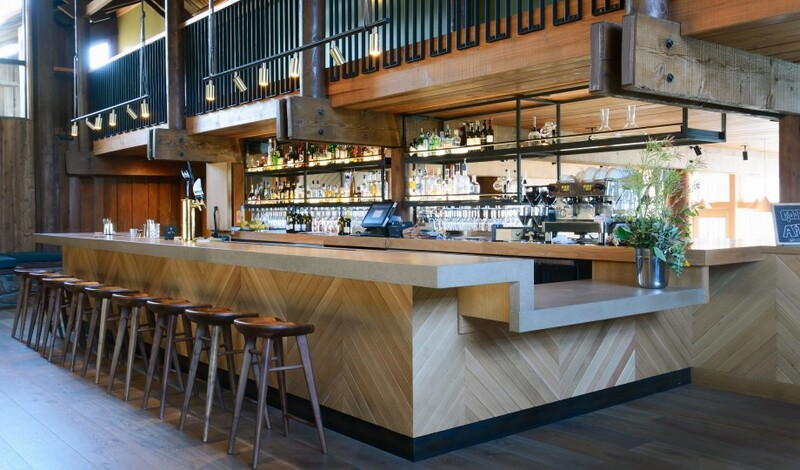 The extensive renovation of Timber Cover strongly emphasized the property’s iconic architectural bones and artistic soul. 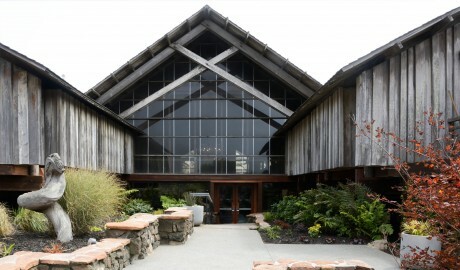 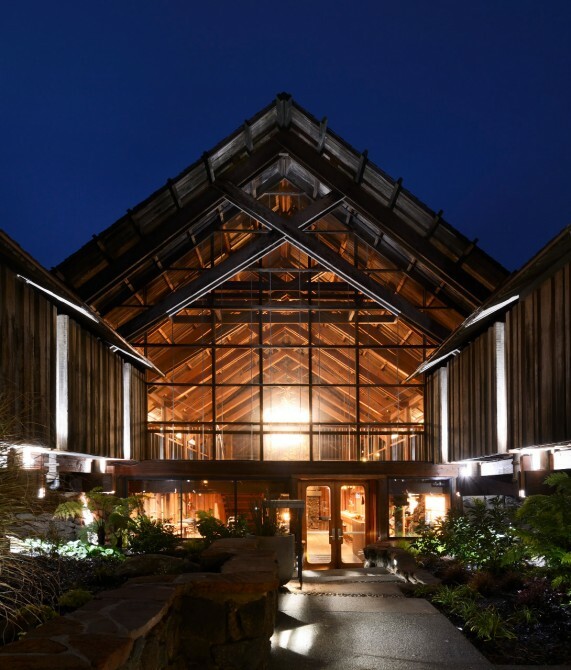 The original and dramatic A-frame structure was designed by Richard Clements, Jr., who was inspired by Frank Lloyd Wright’s organic architectural style. The Sonoma coast is a magical place where the pull of land and ocean draws both adventurers and gourmands who flock here for its abundance of stunning trails, water activities, and wineries.